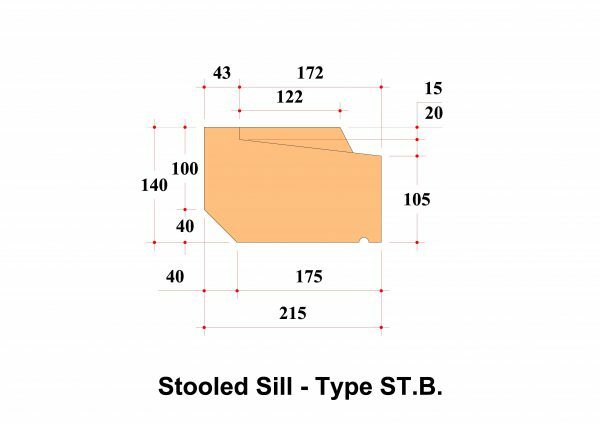 Our standard profile Stooled Sills are based on the same sections as the Slip Sill range, but incorporate stools for building in to various walling conditions, including the use of cast stone jambs, mullions and rybats. 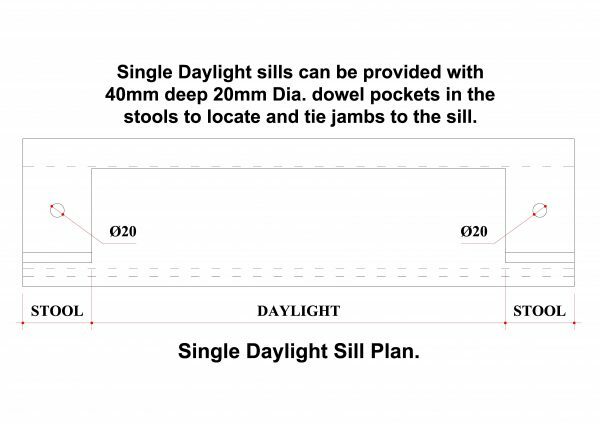 Sills can be produced in exact lengths required for individual needs, taking into account the required daylight opening size(s). 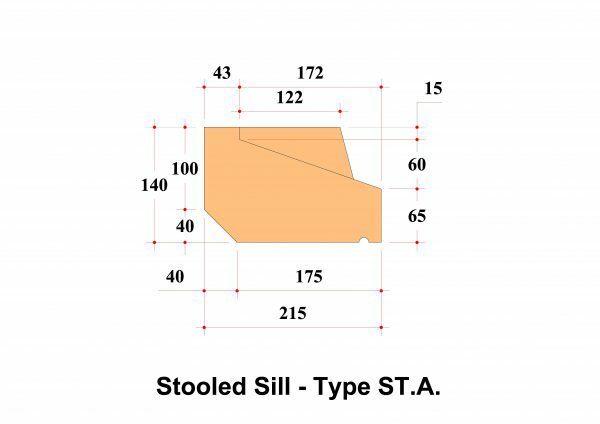 Stooled Sills can be produced in one-piece lengths of up to 1800mm, however for safer handling and more efficient transport, we may advise on casting in shorter length parts. 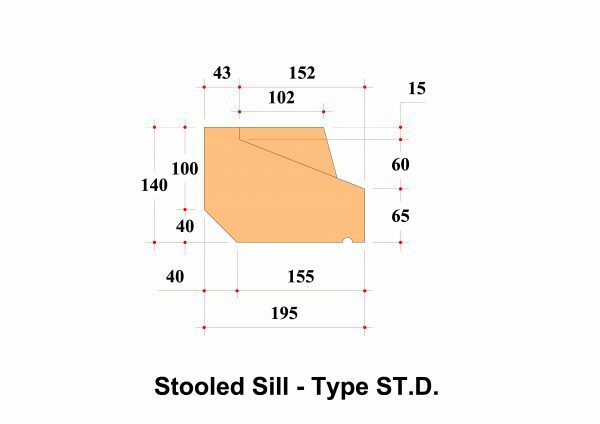 Feature Stooled Sill in render application. 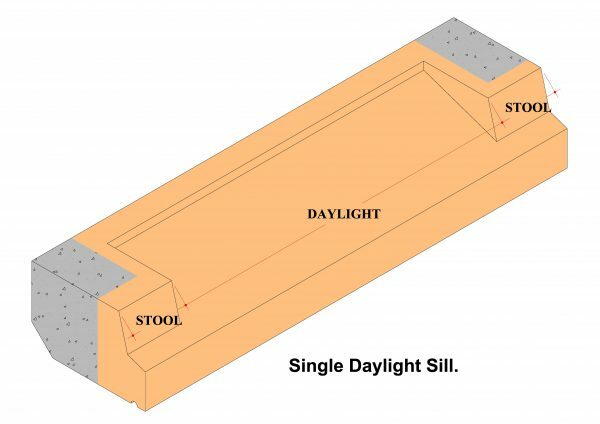 1st floor Stooled Sill in conjunction with Precast Jambs & Lintel. 215mm x 140mm high overall and 65mm high on the front face. 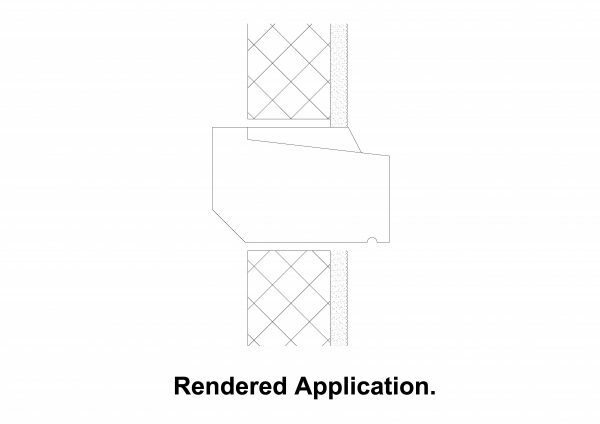 Suited for rendered wall applications. 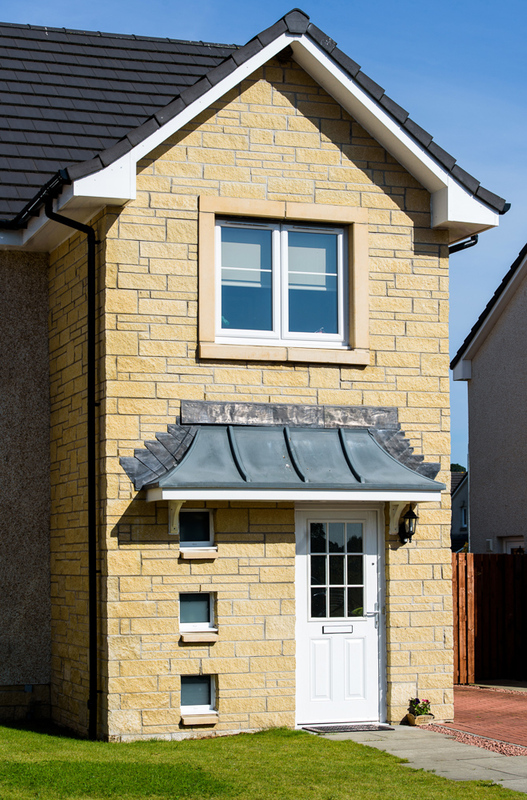 215mm x 140mm high overall and 105mm high on the front face. Suited for rendered wall applications. 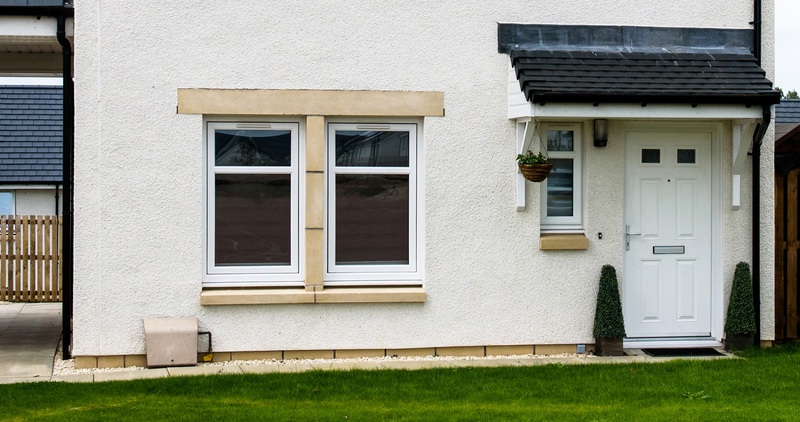 195mm x 140mm high overall and 65mm high on the front face. Suited for facing brick or exposed masonry applications. 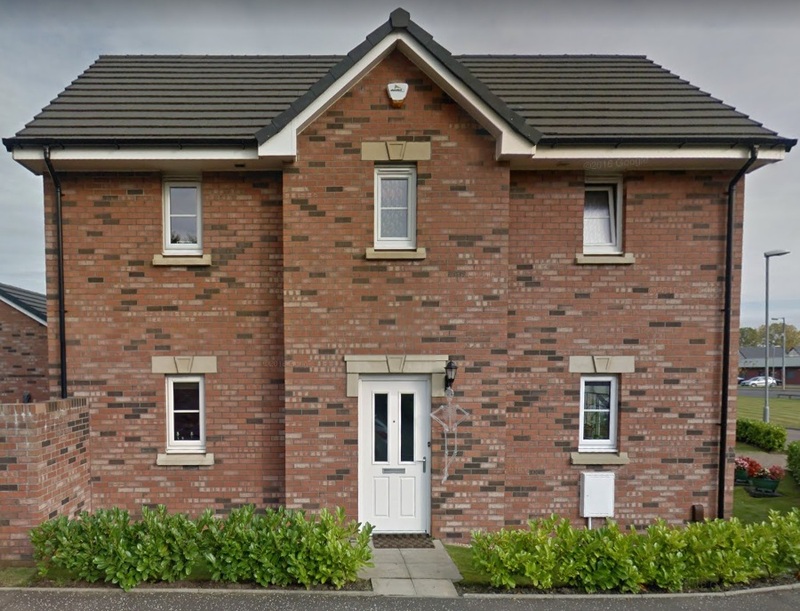 195mm x 140mm high overall and 105mm high on the front face. 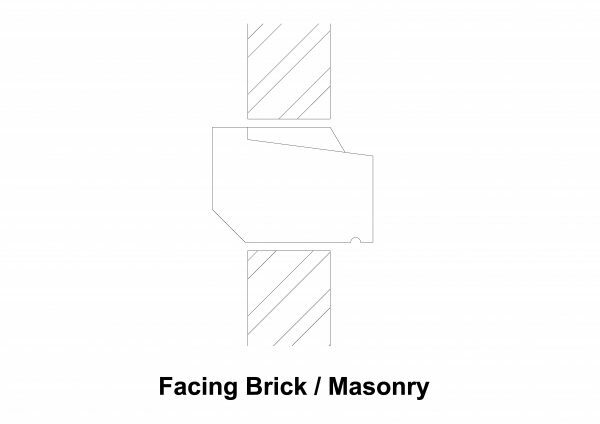 Suited for facing brick or exposed masonry applications. 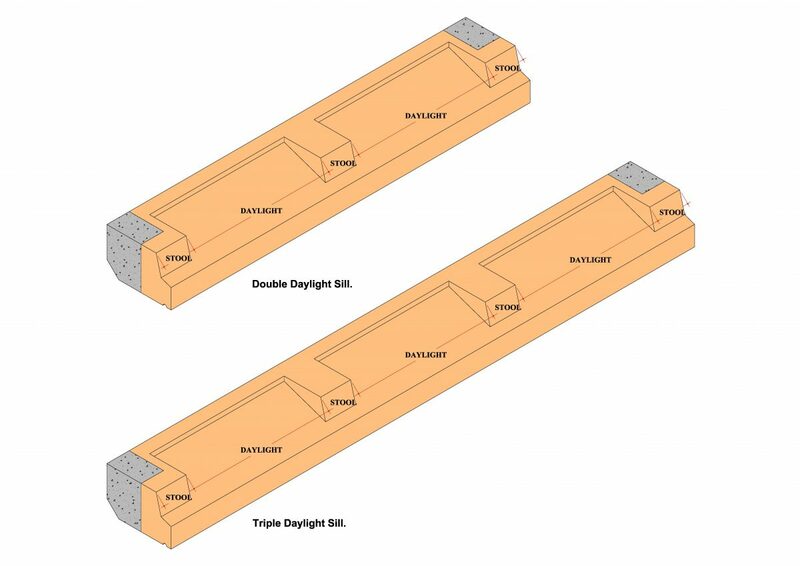 Sill lengths are determined by the daylight opening size (ingoe to ingoe), plus the widths of the stools (usually 100mm, or 150mm each when used with a jamb or rybat). 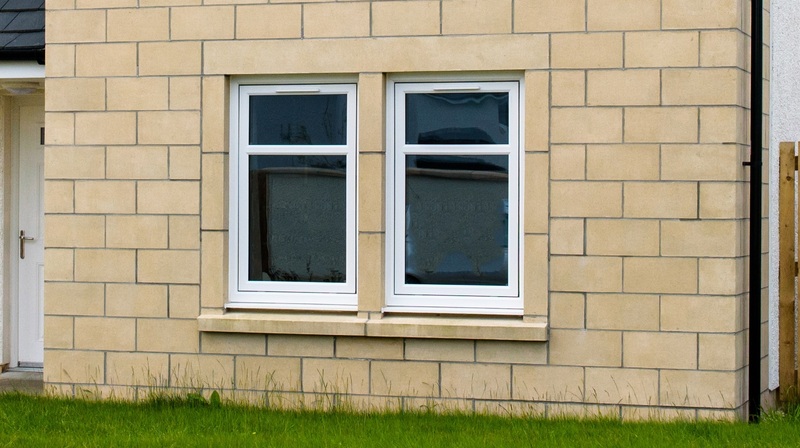 Single Daylight Sills in facing brick application. 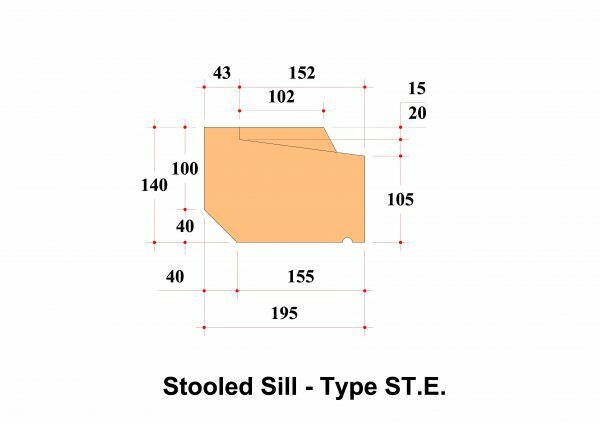 Sill lengths are determined by the daylight opening sizes (ingoe to ingoe), plus the widths of the end stools (usually 100mm, or 150mm each when used with a jamb or rybat), plus the width(s) of the central mullion stools (usually 150mm). 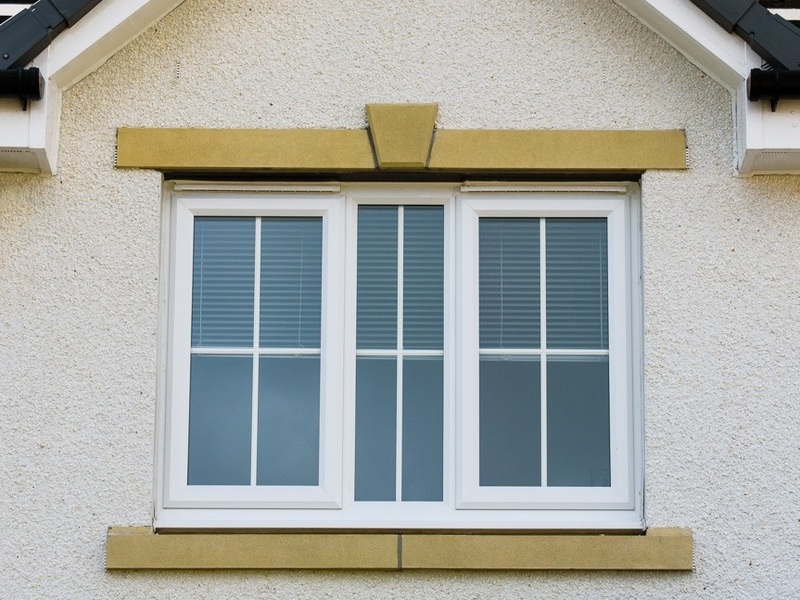 Double Daylight Sill with Jambs & Mullion. 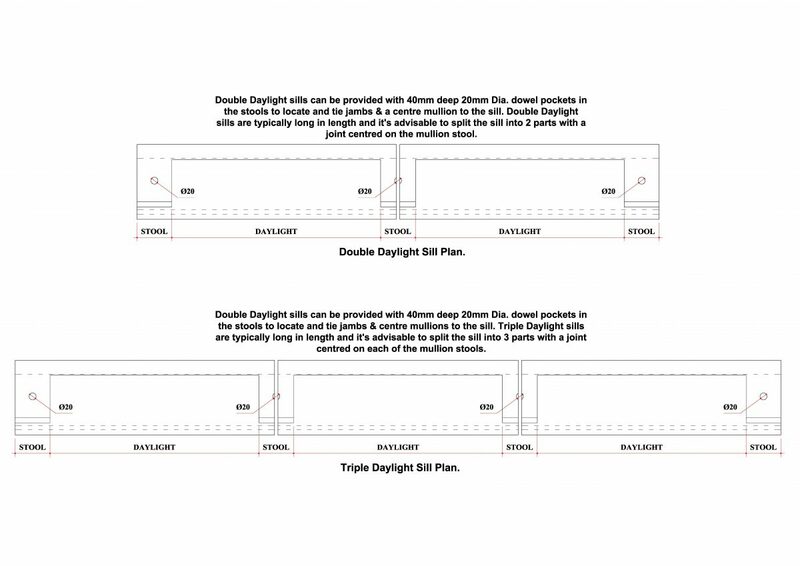 Double Daylight Sill with Mullion only.